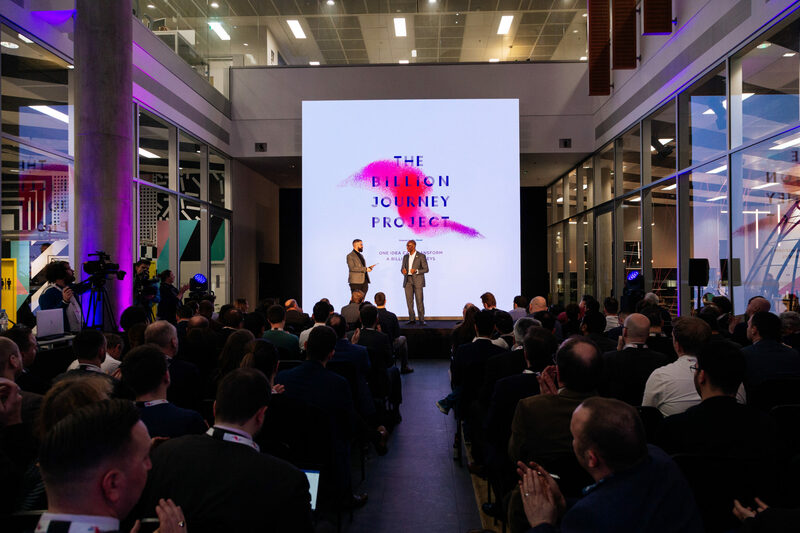 The Go-Ahead Group hosted their second Demo Day at The MediaWorks, the culmination of the Go-Ahead accelerator programme called the Billion Dollar Project, which aims to improve customer travel experience through innovation. Go-Ahead are one of the UK’s principal transport operators, made up of three subsidiaries: Southeastern Railway, Govia Thameslink Railway and Brighton & Hove Buses. The project, called the Billion Dollar Journey, is the largest privately funded accelerator programme in Europe; an accelerator is an intensive program that is typically funded by a larger investing company to help start-up/scale up companies maximise their potential and potentially enter into a partnership with the investing company. Ten of the most innovative start-up and scale-up travel companies participate in the eight-week long accelerator, which provides mentoring, access to Go-Ahead data, insights from industry experts and office space at Huckletree West, a creative co-working space in The WestWorks designed to maximise productivity and inspire innovation. These companies then compete at the Demo Day to win a contract with Go-Ahead, who will provide the platform for the companies to expand even further following the accelerator. The overall winners selected by the judges on the night were Axon Vibe, a smart journey planning service that provides personalised real-time transport updates across a range of modes of transport. FAIRTIQ, a smartphone-based contactless ticketing service that allows passengers to use a range of transport on a sole virtual pass, were voted the best company by the other participants. Eight of the ten companies that took part in the accelerator won contracts with Go-Ahead, including the aforementioned Axon Vibe and FAIRTIQ, as well as Route Reports, Ordoo, Citi Logik, iGeolise, Enterprise Bot and Dovu. During the Demo Day, there were speeches by keynote speaker Rory Sutherland from Ogilvy and Go-Ahead CEO David Brown, as well as a presentation by Lime, the transportation company behind the app-based dockless scooter and bikes. After the prize presentations, there was an opportunity for networking, with food and drinks provided by several pop up street food companies in White City Place.